It’s invisible, colourless, tasteless, odourless – and highly toxic. That’s what makes carbon monoxide (CO) gas so lethal. Unfortunately, it is also a gas that is so readily produced by such a normal process as burning carbon-based fuels – such as oil, gas, coal and wood – to heat your home or provide hot water. To burn safely, without the production of carbon monoxide gas, the fuels need a steady flow of fresh air. CO is less dense and lighter than air, so it rises to the top and fills a room from the ceiling down. The dangers in failing to provide sufficient ventilation for safe combustion and the use of faulty heaters results in a recorded 30 deaths a year, says a guide published by the Residential Landlords Association (RLA). The death toll may be even higher, since some people may be dying from CO poisoning symptoms that are difficult for doctors to detect. With dangers as high as these in normal living conditions, landlords bear a particular responsibility for ensuring that their let property is always a safe environment for tenants, free of health hazards and free from any of the risks associated with carbon monoxide poisoning. The responsibilities are onerous and lent weight by the full force of both statute and common law. All gas supplies and appliances – including central heating boilers and water heaters – for example, must be inspected each year and a safety certificate issued by a registered Gas Safe engineer. A copy of the inspection certificate must be given to your tenants, and immediately any new ones move in. Failure to carry out these annual inspections may incur fines – and other difficulties with the tenancy, including your ability to evict a tenant, for example. Also carrying the weight of the law is the landlord’s obligation to install carbon dioxide detectors in any room containing a solid fuel fire or burner (wood or coal fires, for example, but not gas or oil fuelled heaters). The CO detector must remain in full working order, of course, and any breach of these regulations also attracts prosecution and fines. 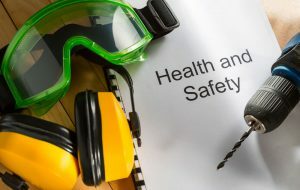 In addition to the legislation relating to gas safety inspections and CO detectors, landlords also bear a more general responsibility for ensuring the health and safety of their tenants, any visitors and, indeed, members of the public. If any individual suffers an injury or has their property damaged the landlord may be held liable and ordered to pay compensation – and if injuries or even deaths are involved that compensation may be substantial. To indemnify you against such claims, landlord liability insurance is widely used and typically offers at least £1 million of indemnity – and frequently much larger sums. Even with such indemnity included in your landlord insurance, however, it is essential to remember that the cover does not absolve you from your responsibilities and obligations towards the health and safety of your tenants. Blatant disregard of the legislation requiring you to install carbon monoxide detectors, the need to carry out annual gas safety inspections, or failure to exercise a due duty of care towards tenants’ health and safety may invalidate your landlord insurance.